Well the major season is over, and the majority of the golf season comes to a close with it. FedEx Cup playoffs begin immediately, so the excitement will press on, but there just seems to be a melancholy exhale of air when the PGA Championship is over. You can remember back to that early California swing, and Florida swing, all setting up for the trip down Magnolia Lane. It seems like anything is possible for the PGA season – no major winners have been determined yet, a lot of marquee golfers have only played one or two, or zero tournaments yet. Then the Masters gets here, and it really is the stand alone major of the spring and early summer. You get the Players and the Memorial tournaments while you wait for the U.S. Open, but after the U.S. Open, it is a sprint to the finish with the final three majors all coming within two months of each other. This year, the PGA Championship was squeezed out as long as possible save for a Monday finish. By the time Rory McIlroy tapped in his par/winning putt on 18, the sun had fully set. The last lingering light faded quickly as Rory signed his scorecard and returned to the green to hoist the Wanamaker trophy (having to first catch it and save the lid from hitting the ground, thanks to an awkward fumble by PGA of America President, Ted Bishop). Sunday at Valhalla brought with it the most exciting major finish of this year by a large margin, and possibly the best finish since the 2013 Masters (The Open last year was great too, but it didn’t come down to the final pairings as much). Rory McIlroy did not run away with the tournament like most people expected, but rather faltered and was one over par through the front nine where most other players did their damage. Both Rickie Fowler and Phil Mickelson jumped ahead of McIlroy during the round, and Rickie had as much as a 3 shot lead over Rory, matched by Phil on the par 3 11th, until Rory came roaring (I’m sure that phrase has never been used before) back with an eagle, and easily the shot of the tournament, on the par 5 10th. After closing to one behind, McIlroy retook a share of the lead with a birdie on 13, and after bogeys from Phil and Rickie, McIlroy added a birdie on 17 to take a two-shot lead into 18. This would have given Mickelson and Fowler one final chance for an eagle to put some pressure on Rory, but with darkness setting in, the 18th hole was played in the most unusual fashion in recent major history. After the Drives of Phil and Rickie, McIlroy and Wiesberger were called to hit up so they could finish in time, and more bizarrely, they were called to hit their approach shots up before Phil and Rickie got the chance to finish and post a score. Things nearly became a lot more dire for Rory when Phil came literally within inches from chipping in, but after his tap in birdie, it was an easy sand shot and two putt for Rory McIlroy to claim his third straight PGA win, and second straight major win. I’ll let ESPN say this for me, but we all know the rarefied air that Rory McIlroy joins with such an accomplishment, and the golf phenom in particular he stands to be compared to in the FedEx Cup playoffs, and moving toward the 2015 season. As for our picks, we covered the heavy favorites, most of whom panned out. Sergio Garcia took a big step back, but not big enough for Jon’s prediction of him missing the cut to come true. Jon made the wise decision to go with Rory McIlroy, which Dave and I made the unwise decision not to do, and the result was Jon taking the top prize on foursomes by a substantial margin. But our foursomes were neck in neck, both of us totaling over a million, and me narrowly edging out Dave with the help of Phil’s solo-second and Adam’s T15. Dave had a strong 3 including Rickie Fowler, Henrik Stenson, who tied each other for 3rd place, and Jim Furyk in a T7. Fantasy Golf Source will be taking a hiatus from the previews and predictions until the start of the 2014-15 season. We’ve decided to sit back and watch the playoffs unfold, and leave the picking to you. Check back for posts as we try to help spread the glory that is fantasy golf in the off season, and help you get prepared to start your very own league! Jon: Never in my wildest dream did I, at the beginning of the season, think I would be picking Rory McIlroy as my safe bet. In fact, I was so down on Rory that I honestly don’t think I would have picked him in the first round of our fantasy draft. That all changed this season however with Rory notching his Open victory, and following it up with a come-from-behind win at the Bridgestone Invitational. He has taken over Adam Scott’s number one spot in the World Golf Rankings, and I don’t think anyone can argue that Rory is on fire right now. I don’t know whether it was Caroline Wozniacki weighing him down or some deep Irish curse, but whatever he did to fix his game, it is working. What has Butch Harmon done with the inconsistent Rickie we’ve come to know? 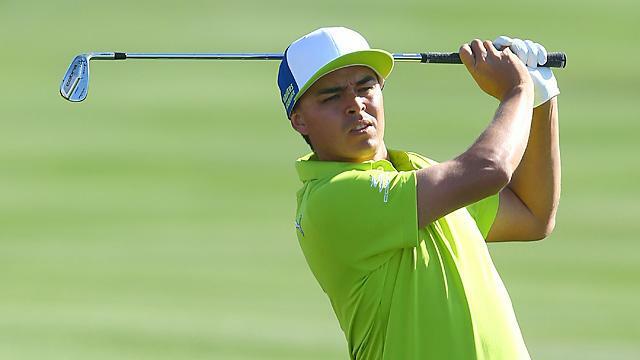 Now, Rickie is playing on another level in the majors, and is widely considered a safe bet this week. Photo courtesy of golf.com. Tom: The aforementioned man, and recently reclaimed world number one is probably going to make me pay for this, but I am sticking with my comments from last week and saying Jim Furyk is the safest bet to win the PGA Championship. Sure I have a lot going against me here. His record of losing majors when in contention or even the lead. His age. His lack of length on what will play as the longest par 71 in a major, ever. But I can’t help it. Furyk has barely lost a lot of majors, yes, but that means he puts himself in contention to win them. He’s not long off the tee, no, but he is one of the best at hitting fairways (6th in driving accuracy), and he handled the length just fine in 2008 when he made the winning putt in the Ryder Cup (Valhalla was actually playing longer that week). And his season speaks for itself. Sure, Rory is poised to do something only Tiger has been able to do this century – win 3 PGA events in a row. But Furyk has been knocking on the door for a win all season, and statistically speaking, finally breaking through for a win is a lot more likely than getting your third in a row, just saying. 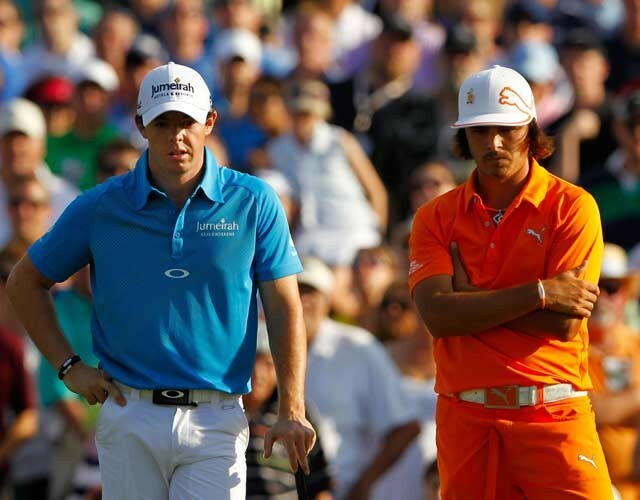 Dave: Rickie Fowler has been a real boss this year in majors. Taking into account the Masters, U.S. Open and British Open, he’s averaged 3rd place. That means he’s been showing up to play for majors. Why should that stop now? Butch Harmon has him playing like the player everyone always thought he’d fail to ever become, and you should look for Rickie to be there on Sunday. Dark Horse for the Week? 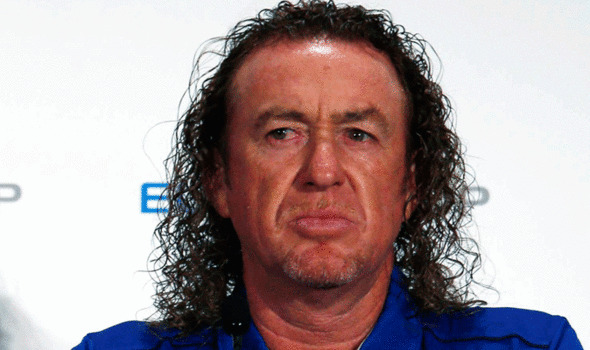 Jon: I’m picking the guy who looks weirdly like the villain in Ghostbusters 2: Miguel Jimenez(picture). Jimenez knows this course, he’s played at Valhalla before in both the 2000 PGA tournament and the 2008 Ryder Cup. I don’t know if he makes a big splash, but I think he’s a guy to watch out for, especially after his performance at The Masters this year. Tom: Here’s a name you completely forgot about this year: Billy Horschel. Why? Because he’s been playing crap golf, that’s why. And honestly, outside of his T4 finish at the U.S. Open last year, major performances have been the huge lapse in his otherwise short, but sweet career. That’s a perfect recipe for a player who can rip it into the fairway, get on the green, and waste no time with the flatstick to fly under the radar and contend at a course like Valhalla. Dave: Charl Schwartzel. It’s sad that the 2011 Masters champion could be considered a dark horse to begin with, but let me ask you this, how many times have you thought about Schwartzel this year? Depending on how you answer that could say a lot about your creepery/interest in South Africans. But I digress… the answer is not very many. He has failed to really be in contention all year, and has only played in 14 PGA events. However, he has top 10s in both WGC events, as well as the Memorial Tournament and the British Open. So though you may have forgotten about Schwartzel, I have not forgotten about Schwartzel. Unexpected Player to Miss the Cut? 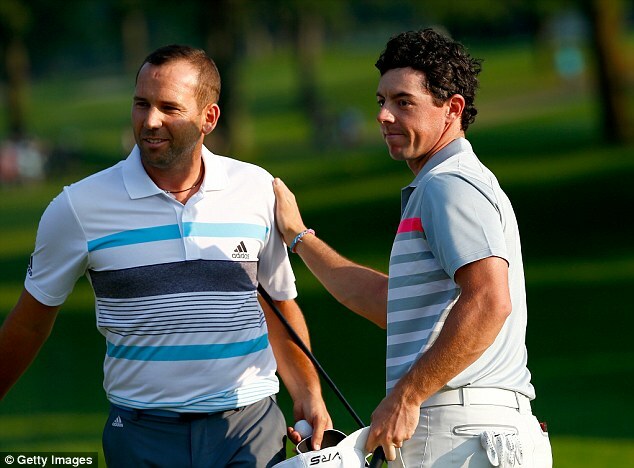 Jon: This is probably going to be an unpopular pick, but after killing it at Firestone, only to have Rory put him in second place, I can’t help but feel some of that “I should just play for second, because I’m not good enough for first,” is going reemerge with Sergio Garcia. He played fantastic golf last week, and it still wasn’t good enough for a first place finish. I think we see some of Sergio’s mental issues emerge this week. 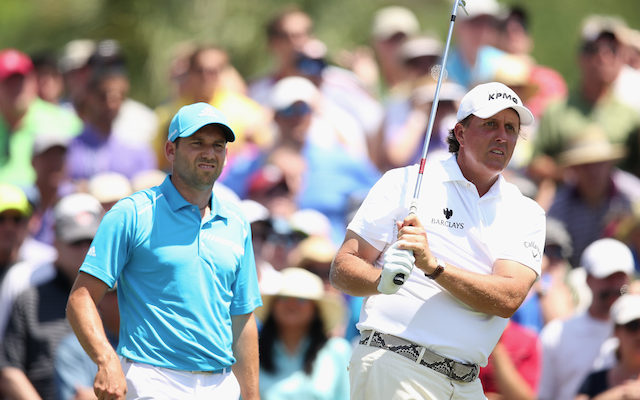 Dave: Phil Mickelson shot a season low 62 in his final round in the WGC last week. Despite this, I see Lefty struggling at Valhalla. He hasn’t finished in the top-10 this season. Like…at all. This is troubling for the final major tournament of the season. *We are exempting Jason Dufner and Jason Day from this list, because both have played through extremely painful and bothersome injuries, and at this point, a missed cut from either would not come as a shock. Jon: I’m picking Bubba Watson, and my argument for him is more based in “why not?” than anything else. Valahalla is a long course, so why not pick one of the longest hitters on the tour? 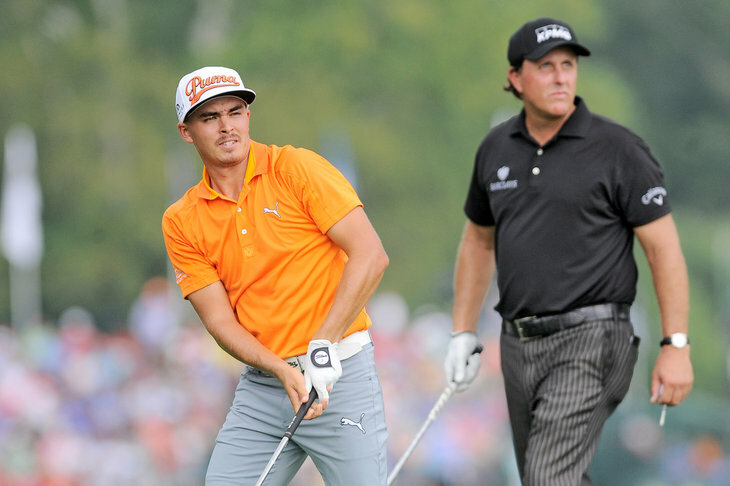 Valhalla is a major, so why not pick the two time Masters winner? While he was cut at the Open, I think Valhalla will set up nice for the lefty, and I think he has a chance to get it done. I wrote that and then read that Bubba has not only never played Valhalla before, but he also threw a hissy fit during his practice round, because he didn’t want people to measure his drive. If there’s two things I hate in this world it’s bathroom doors that open in, and hissy fits, therefore I will be picking Rory McIlroy to win, as he didn’t throw a hissy fit and hit a 3 iron off the #10 par-5 during a practice round. Tom: Now I know that Rory McIlroy is going to make me pay… because I like the former number one, Adam Scott, to take his spot back from Rory in just over a week when he wins his second career major. Scott dealt with the pressure of being number one, he’s been there and done that. He won his first event after earning the ranking (crazy), and since then he hasn’t finished worse than his T9 at the U.S. Open. In other words, he hasn’t gone anywhere – he just hasn’t been as lights out as Rory. That will change as McIlroy deals with the pressure of being world number one and going for his third straight win, while Scott coasts to the finish line. Dave: Sergio Garcia is leading the tour in stroke average. Not only that, but he has been on a tear of late. Plus, you know how I feel about him, and how I inexplicably support him. Having been in contention in the last few tournaments, I believe he’s poised to make a big move and win his first major this week. See my above for both Bubba and Rory. Rickie is generally on fire right now, notching top 5 finishes at the three previous majors. I see him staying on track this week, as he apparently has ice in his veins. I was not a believer in Rickie Fowler before this season, but he has played incredibly well this year, and hopefully he uses this season as a platform for next year. As for the Twitch Doctor, Keegan Bradley, while I still disagree with his Parkinsons-like approach to his shot, he has proven time and time again, that he can typically get it done on the big stages. I think he carries his momentum from Firestone over to the Masters and has a chance to do what his buddy, Jason Dufner, did last season, and what he himself did in 2011. Yes, after lots of thought and probably too much excitement over his Sunday 62 at Firestone, I am slipping my first round pick, Phil Mickelson, back into my lineup. He’s a wild card this season who hasn’t been able to get anything going with the flatstick, but you just can’t help but get excited about seeing how aggressive Lefty will play this long Valhalla course that plays right to his strengths. As for Graeme McDowell, he is another wild card that I think a lot of people have missed. He’s been playing solid golf, and is poised to insert himself into the Ryder Cup mix with a strong finish this week. Jim Furyk has broken the top-20 the last 5 tournaments. The James Fury will be in full force this week. Oh and Henrik Stenson? I just gotta have my Henrik Stenson! The Swede had an up and down time at Valhalla while playing in the 2008 Ryder Cup, and has had an up and down season to follow up his FedEx Cup, but he’s ready to prove to the world why… I spent a first round pick on him. 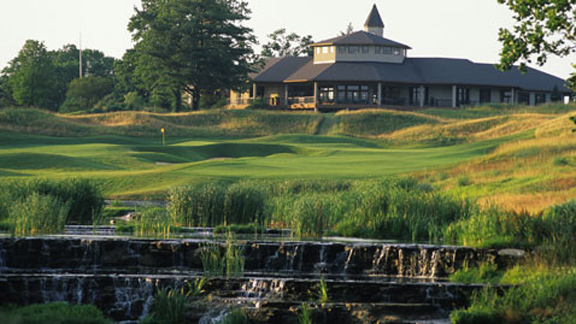 Ahhh Valhalla Golf Club, in Louisville, Kentucky – a place rich with history. Wait a second… this course was only opened in 1986? Nevermind! 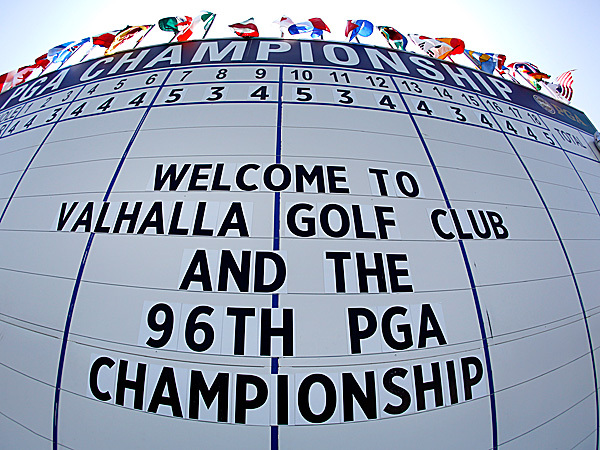 Wait a second again… Valhalla is hosting the PGA Championship for its third time (1996, 2000, 2014), and has also hosted the Senior PGA Championship (2004), and the Ryder Cup (2008)? Maybe this place does have some quality history in its relatively short existence. And why not? It was built by Jack Nicklaus with a natural arena setting, set up perfectly for big stage golf. The 2008 Ryder Cup saw the Americans winning their first since 1999, in convincing fashion. Standouts from that match included Jim Furyk, Kenny Perry, J.B. Holmes (both Kentuckians), and Boo Weekley on the American side, as well as Sergio Garcia, Graeme McDowell, and Henrik Stenson on the European side. Will any of these players be able to translate that success to this tournament? Obviously Furyk and Garcia, and Stenson and McDowell to a lesser degree, can complement their past success with current form as well. In the 2000 PGA Championship, Tiger Woods earned his 5th major title in a playoff win over Bob May. Obviously, the signs are not looking good for Tiger Woods teeing it up in two days – as he has yet to arrive in Louisville. The only other notables from that year’s leaderboard are Thomas Bjorn who finished in solo-third, and Phil Mickelson who finished in a T9. I would prefer not to go too much into the 1996 PGA since it was nearly 20 years ago, but it’s worth it to note that in addition to being known for Kentuckian Kenny Perry’s closest attempt at winning a major (he lost in a playoff), Mickelson also finished in the top 10 with a T8 that year. Now coming off his best round of the season (62 on Sunday at Firestone), there could be a little hype left for Lefty this season. Overall, the 96th PGA Championship looks to be a great one. Obviously, the heavy, odds-on favorite is the recently reclaimed world-number-one, Rory McIlroy. He looks to put his vice-grip on the end of this season by winning three of the biggest events with the deepest fields, all in a row. Such a feat would bring back memories of that other guy who sported a Nike hat and won nearly every tournament he entered in the late 90s/early 2000s. However, Bubba Watson and Martin Kaymer also will be playing for a chance to be the only two-time major winner this season, and both figure to be in the mix. Playing as the longest par 71 in major history, how can you not at least think about Bubba having an obvious advantage (See: his 424 yard drive last week)? Rickie Fowler figures to be in the mix as well, as the only player this year to finish in no worse than T5 in all three majors so far. For the rest of the storylines, well, we will let you come up with those on your own. For us, we look forward to an action-packed major, and hopefully some continued success with predictions. Nothing can be taken away from Sergio’s gutsy effort at the WGC Bridgestone Invitational this weekend. Except the trophy, which was taken with relative ease by Rory McIlroy on Sunday. Okay, all kidding and mean comments aside, the season’s third WGC event brought with it the usual drama and excitment, and penned a role-reversal from the Open with Rory instead chasing Sergio on Sunday, but unfortunately McIlroy coasted to a victory, which limited the excitement in the final round. McIlroy said he thought a final round score of 63 would secure the win, but it only took a 66 to beat Garcia, who shot one over par, by two strokes. The other big storyline from the week was Tiger Woods withdrawing in his final round after agitating and possibly re-injuring his back. With the PGA Championship getting underway, and the Ryder Cup looming, Woods’ status is murkier than ever before. On the other hand, Phil Mickelson fired his lowest round of the season with an impressive 62 on Sunday including a hole out on 13. Mickelson could be breaking at just the right time for his PGA Championship hopes as well as Ryder Cup aspirations. As for our 12 highlighted players, it was a mixed bag of results. As mentioned, we really liked Sergio who seemed poised for a PGA win – and he certainly was before his final round stalled and McIlroy was able to overtake him. We also mentioned that Ryan Moore was poised for a win, and he opened the tournament with a 65, good for a second place tie, and then struggled on Friday, and fought his way back to a T8 finish on the weekend. 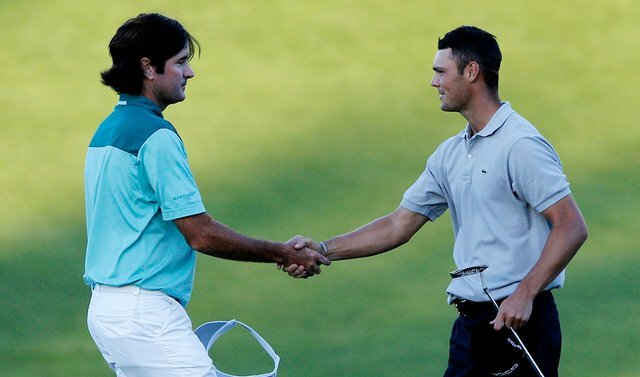 Perhaps the best advice we gave was on the Aussie – not Adam Scott – Marc Leishman. With this solo-third added to Leishman’s resume, he has put together quite an impressive 2014 campaign, and there is no reason why he shouldn’t continue at the PGA next week. He is playing great golf, especially with the irons. As for our misses, Furyk did not live up to the enormous hype we gave him – granted he finished with a top 15 still – of course we all know what happened with Tiger, Stricker really looked out of sync all week en route to a T63, and our highest dark horse was Gary Woodland with a measly T19. I’m giving us an out on the Jason Dufner pick, who finished in a T66, and give the explanation below. Oh yeah, and I might have mentioned that Rory and Rickie were going to have disappointing weeks… Maybe Rickie’s T8 finish was disappointing given his heightened expectation to earn top 5s, but obviously I failed to give both their proper credit. Rory might finally be growing into the guy we all thought he would be after the 2012 PGA at Kiawah, right before our eyes. Now, we look ahead to the season’s final major. Onward and upward! *I noticed this article on Thursday, detailing a recent development with Dufner’s injury status, and it was too late to do anything but watch his struggles. Had he not been dealing with the neck injury, I stand by my thought that Firestone C.C. should set up well for Dufner.